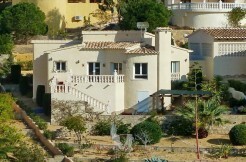 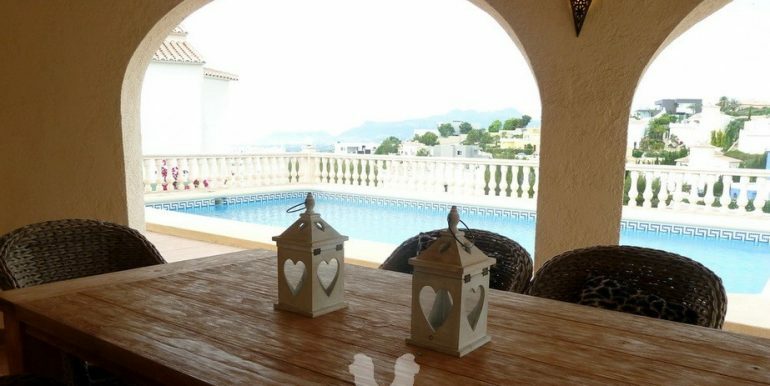 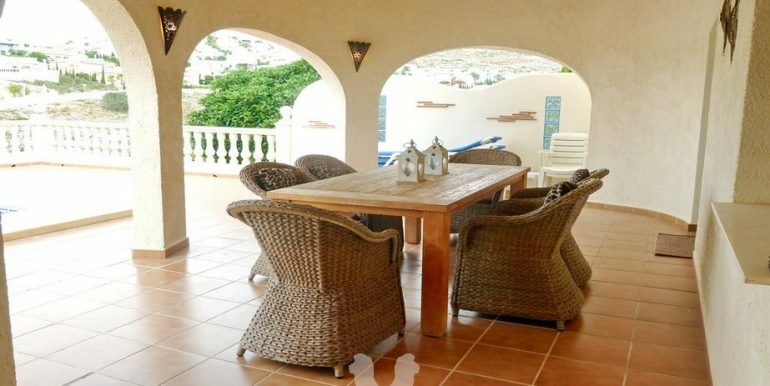 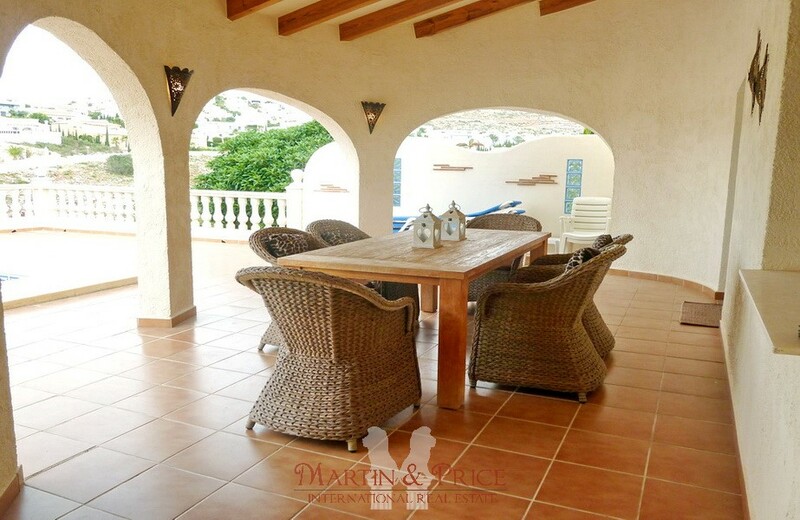 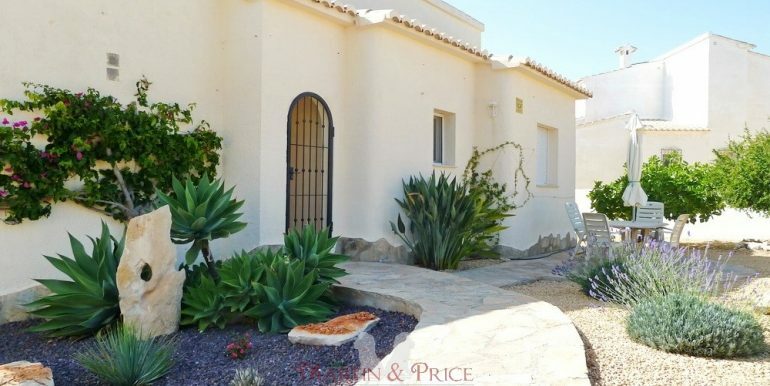 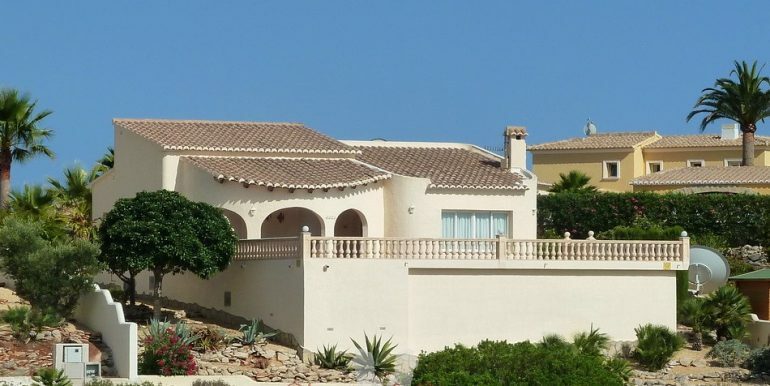 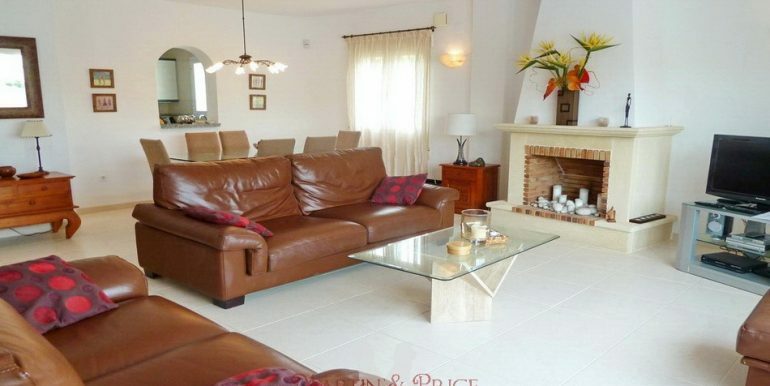 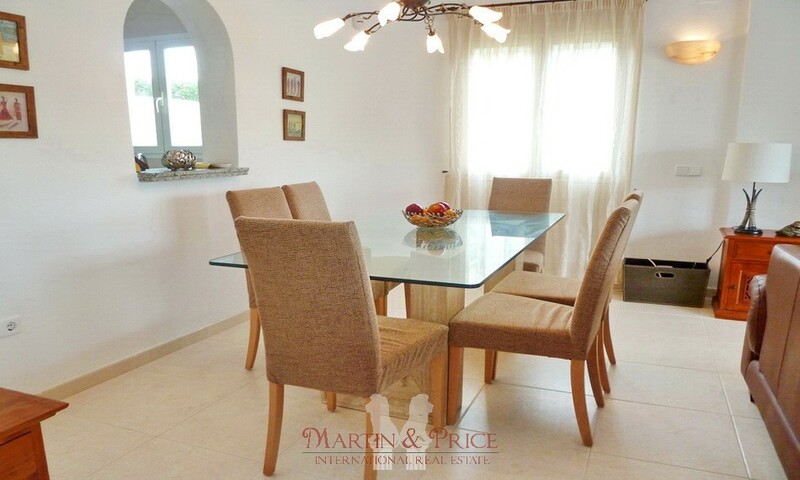 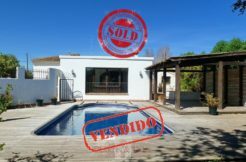 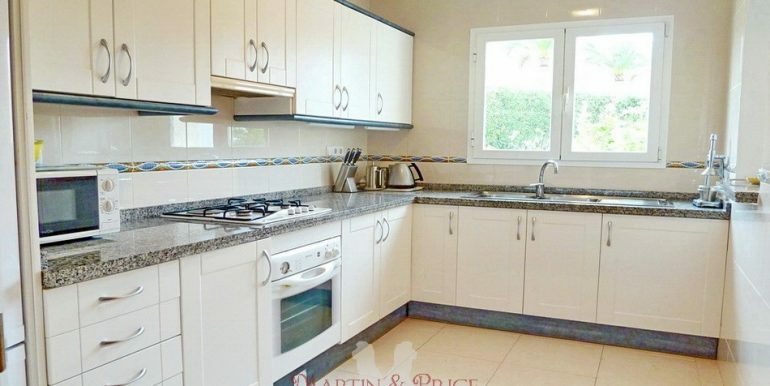 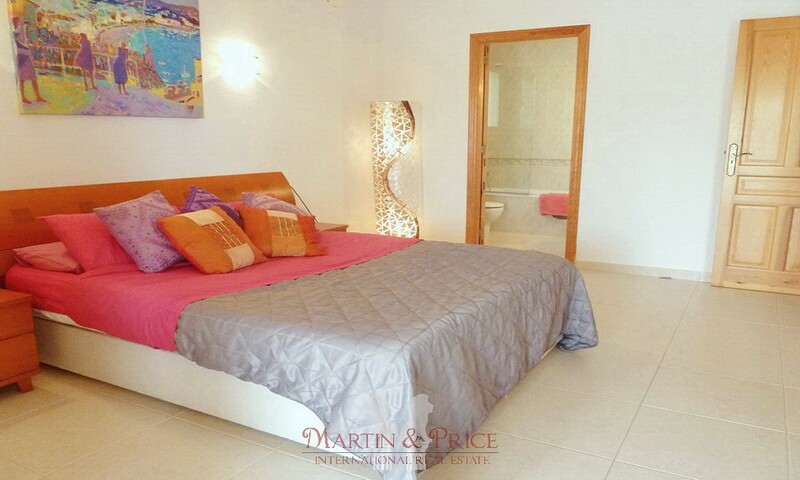 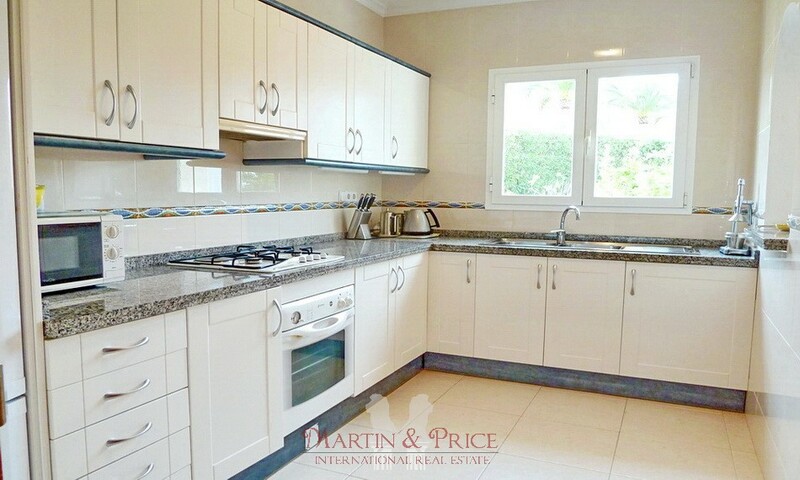 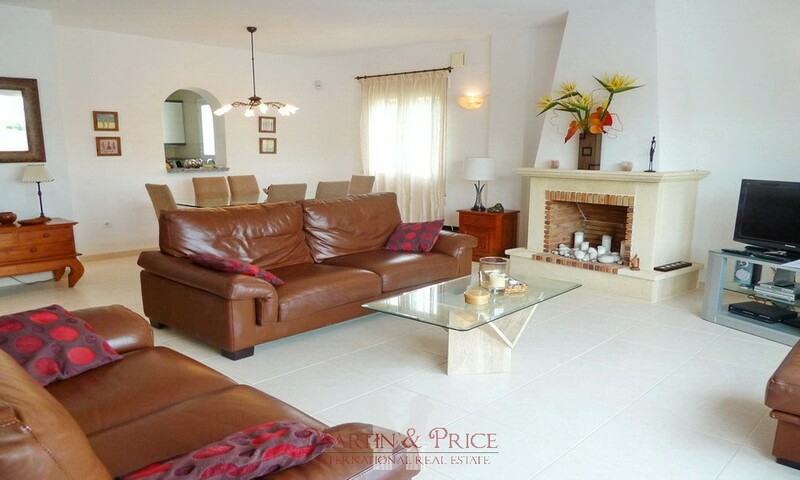 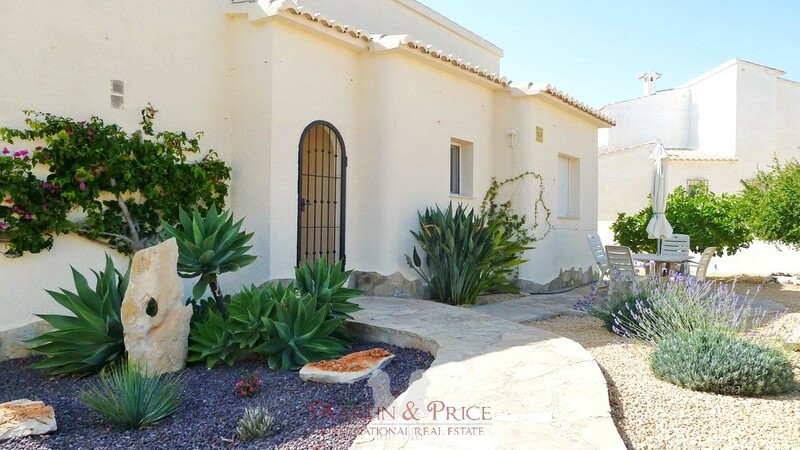 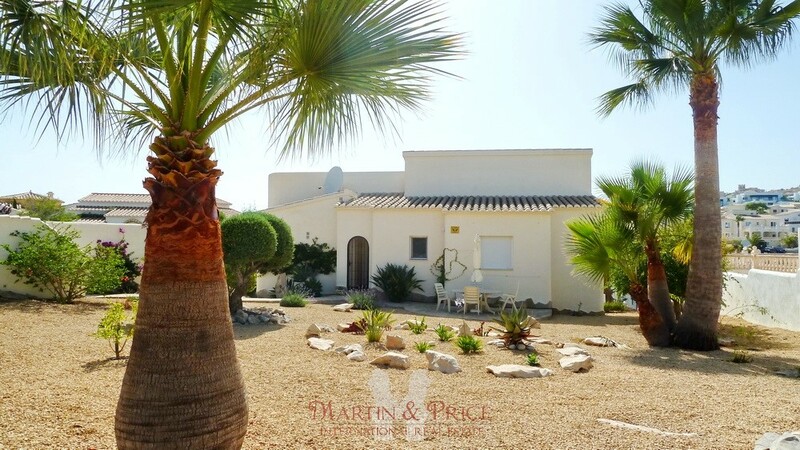 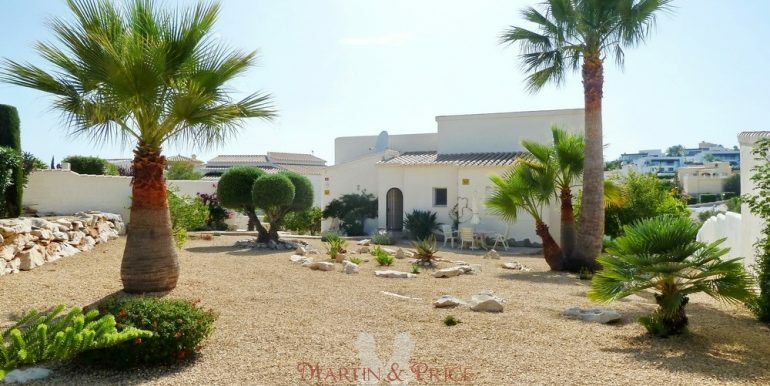 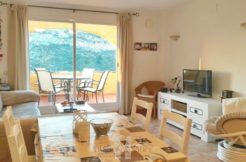 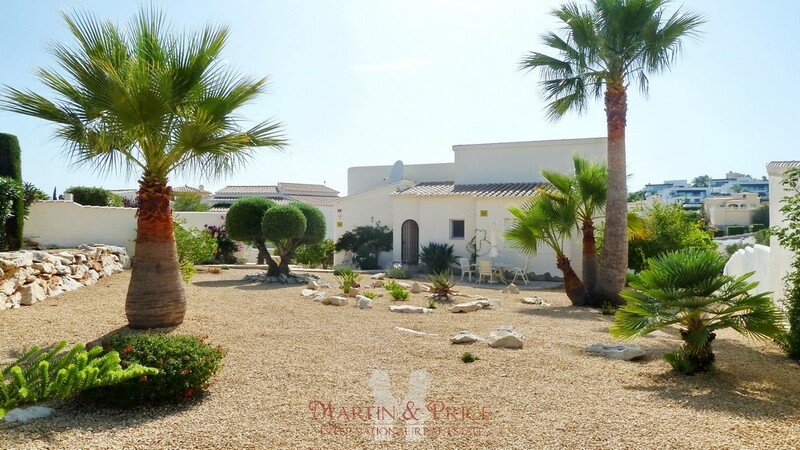 This beautiful villa in perfect condition is located in Cumbre del Sol. 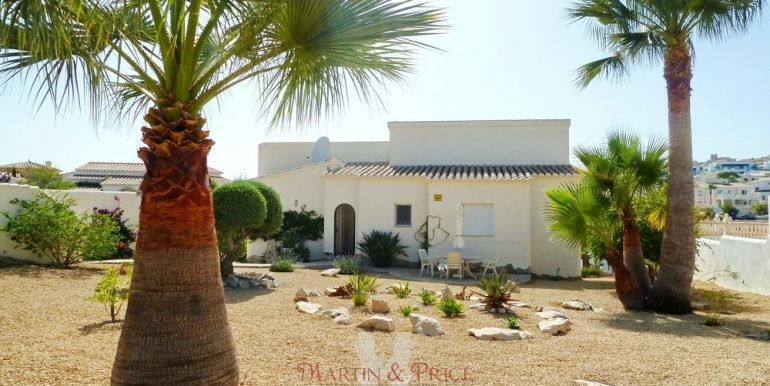 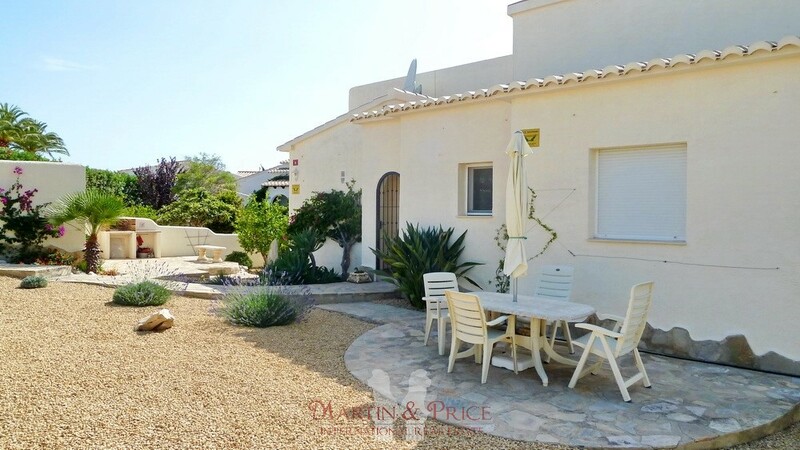 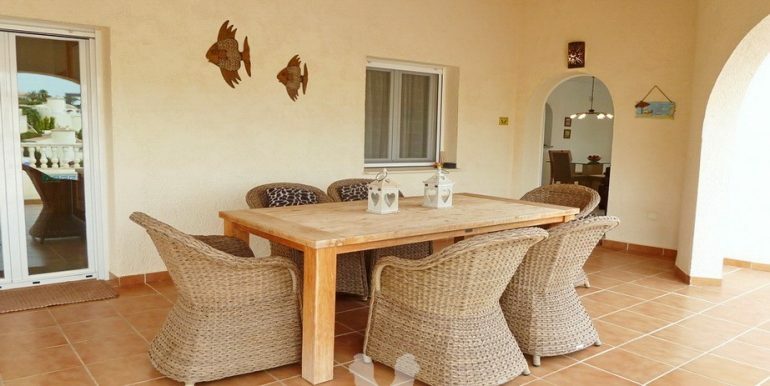 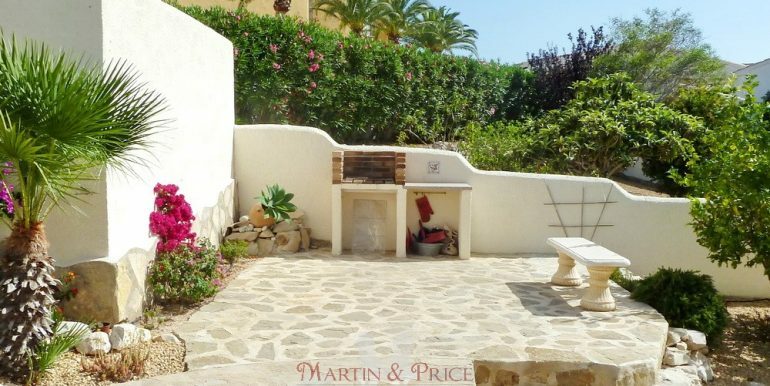 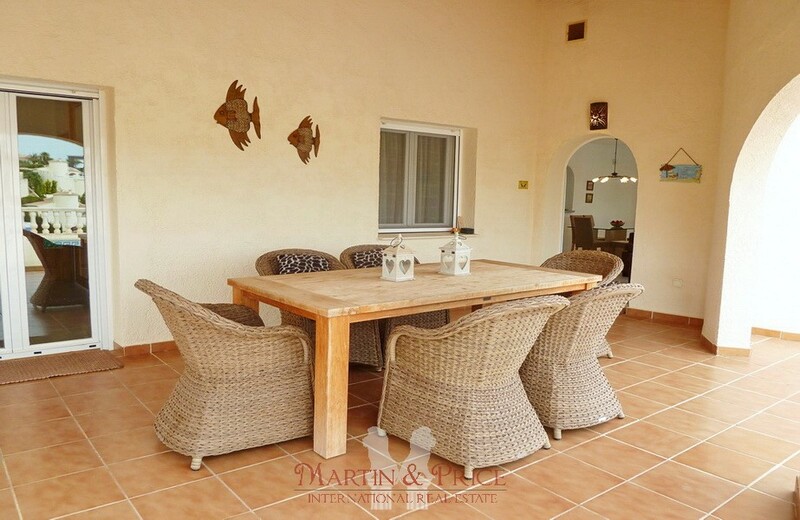 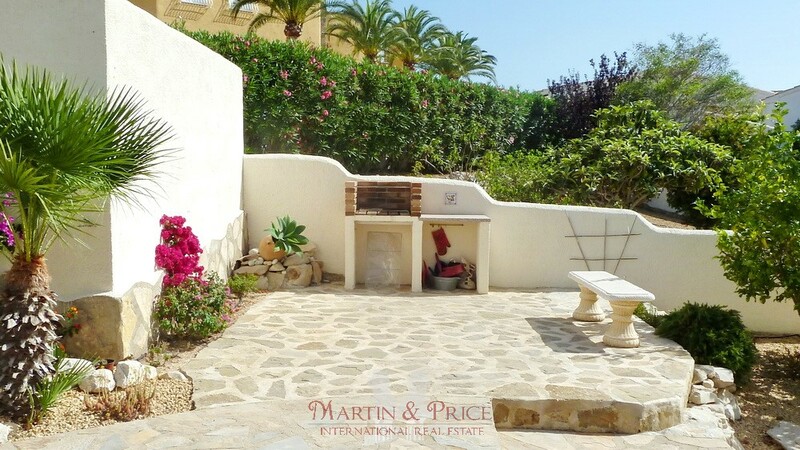 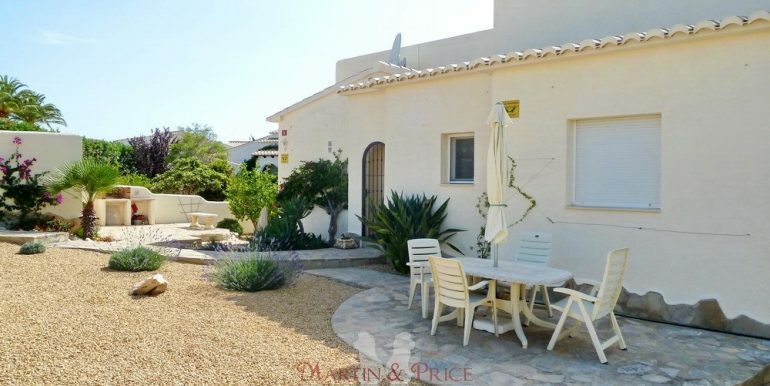 The villa occupies a great flat plot with a nice easy maintenance garden with barbecue and different relaxing areas. 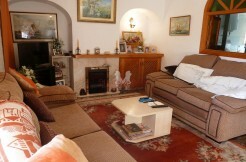 The property is distributed on one floor and consists of a large bright living room with fireplace from which you access the porch and terrace with a 10×5 pool, separate kitchen with pantry, three double bedrooms with fitted wardrobes and two bathrooms, the master bedroom with en suite bathroom and direct access to the terrace. 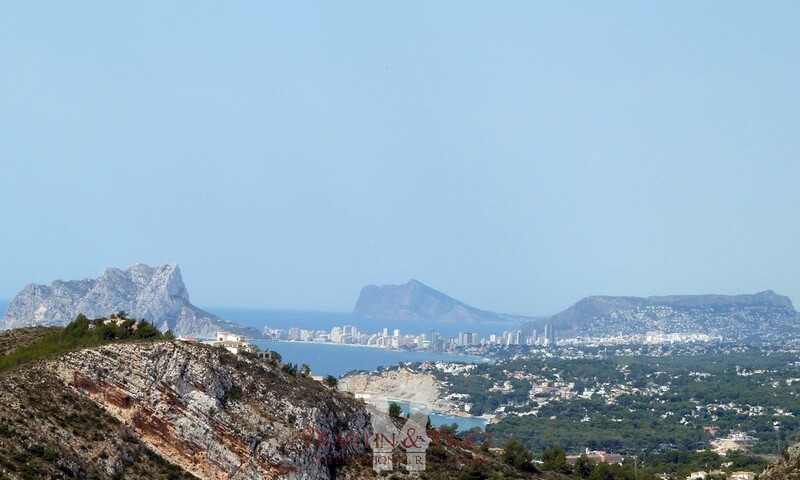 From the terrace there are beautiful views of the residential and mountains and wonderful partial sea views and the Ifach Rock, the porch provides the ideal area to enjoy the Mediterranean lifestyle “al fresco”. 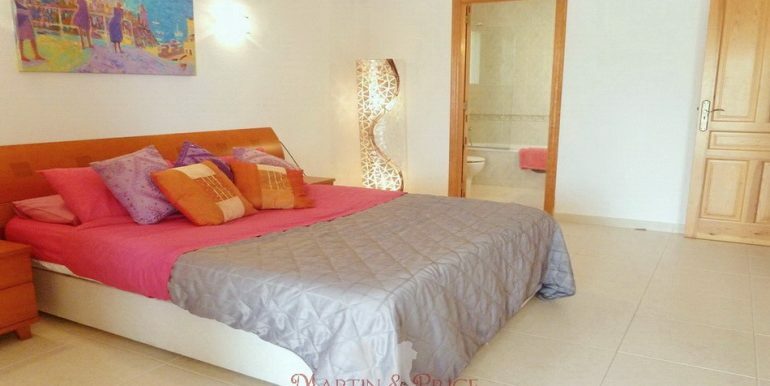 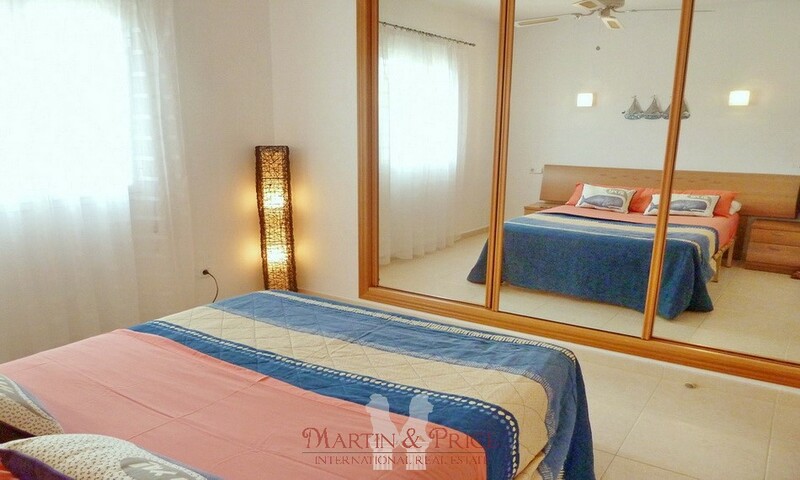 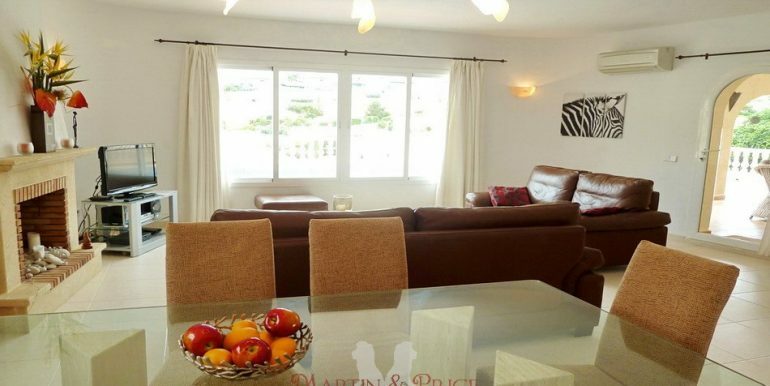 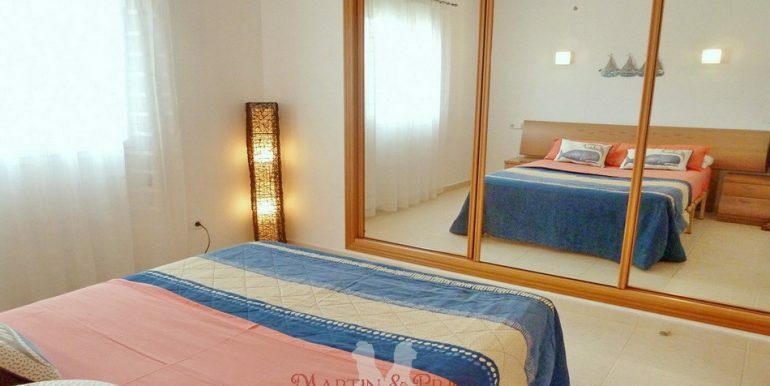 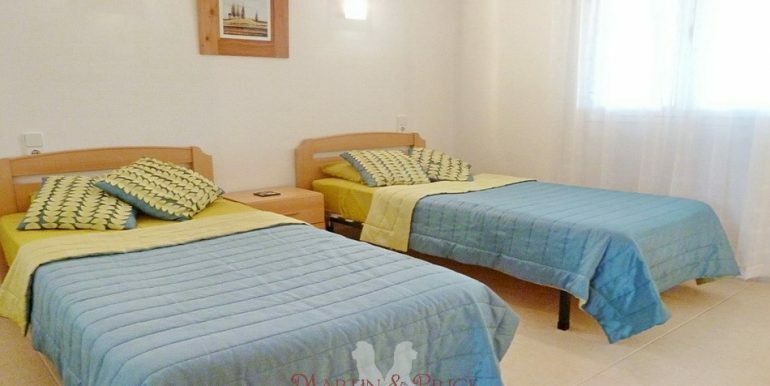 The villa has double glazed windows, cold/hot air conditioning in each room and private parking. 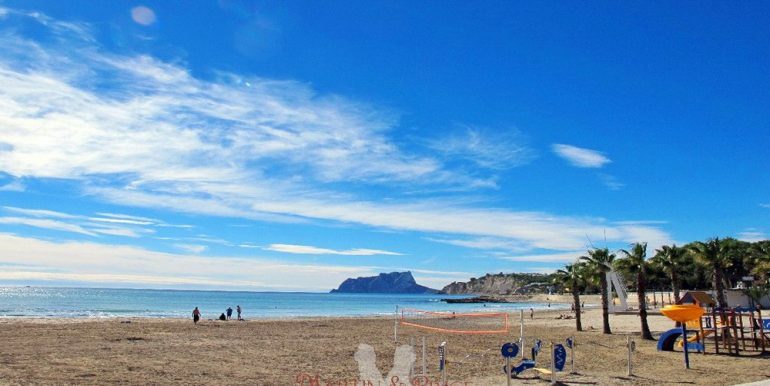 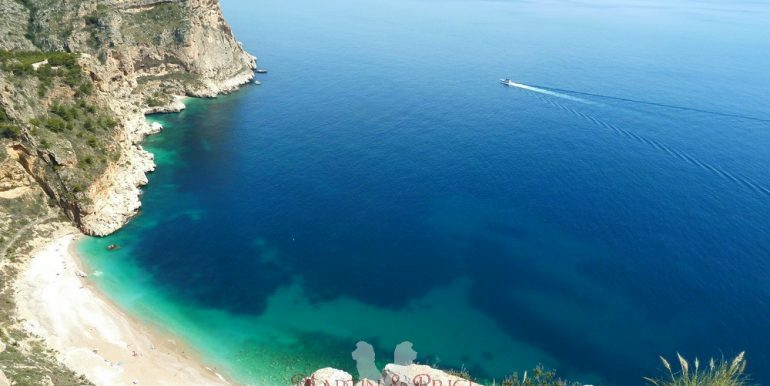 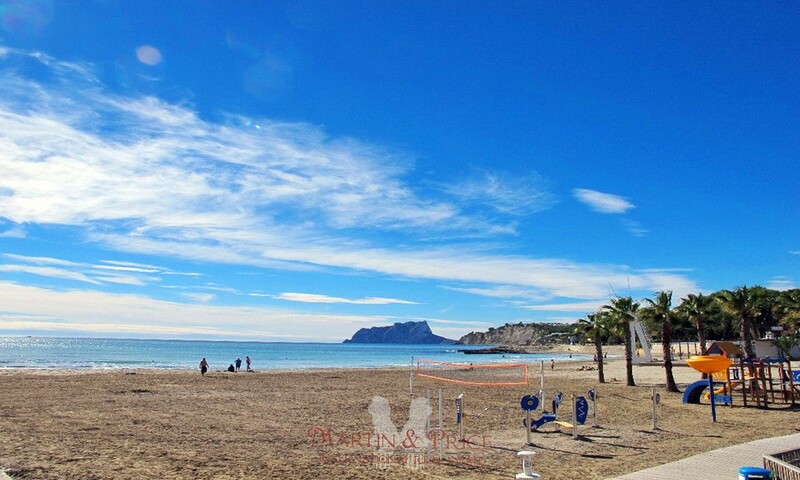 The Moraig Beach is only a five minute drive and the tourist coastal towns of Moraira and Javea just 15 minutes. 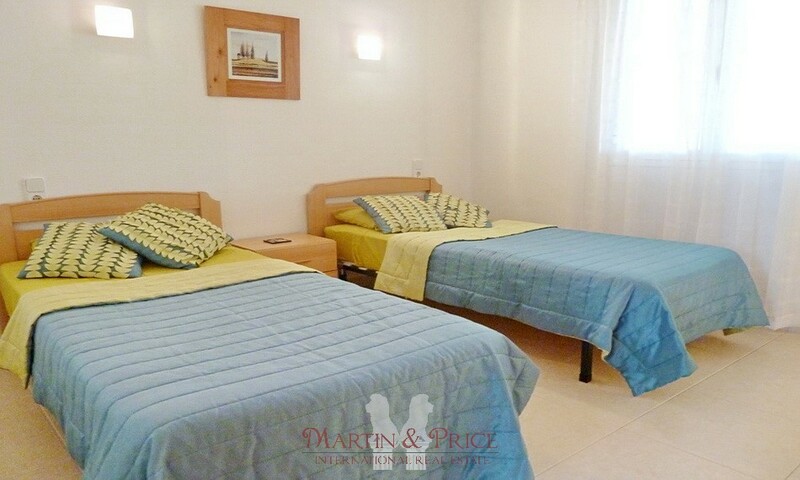 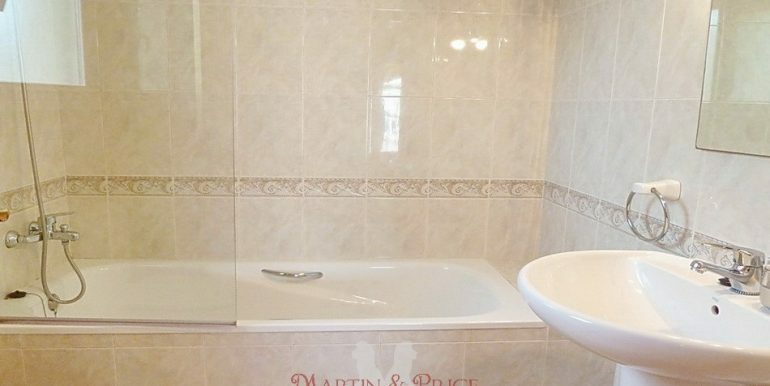 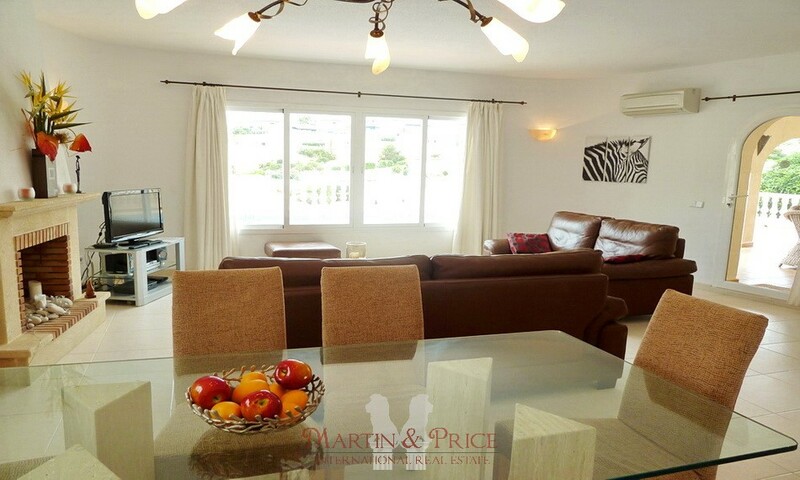 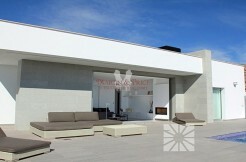 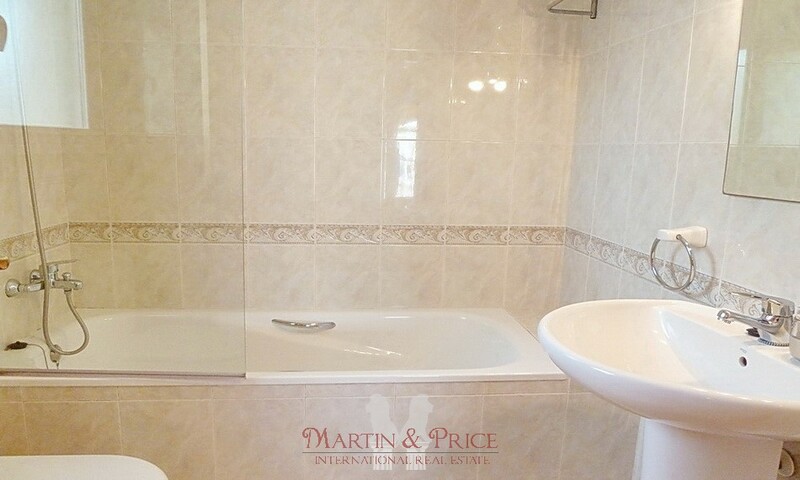 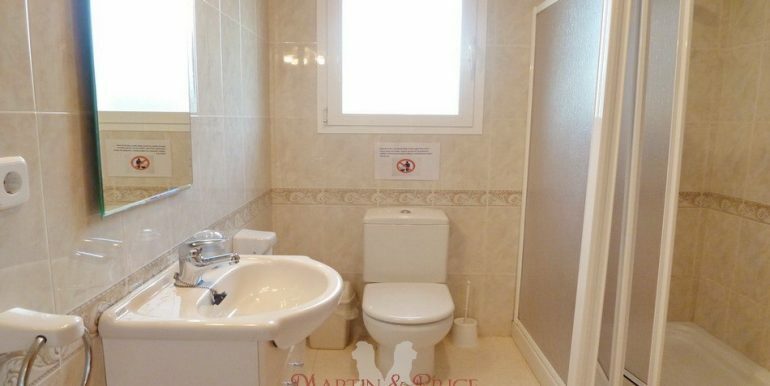 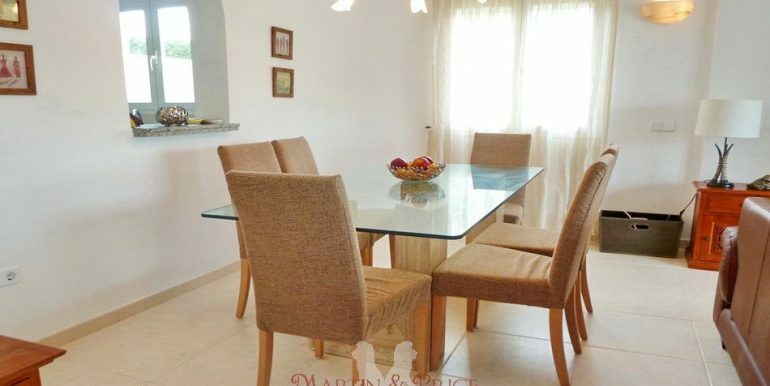 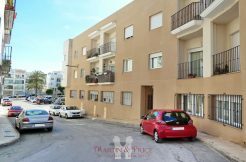 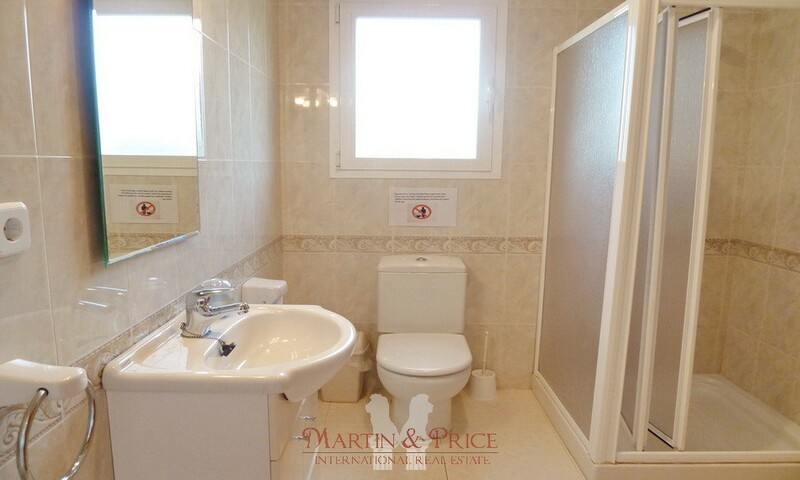 In the residential there are restaurants, pharmacy and supermarket and is close to all amenities. 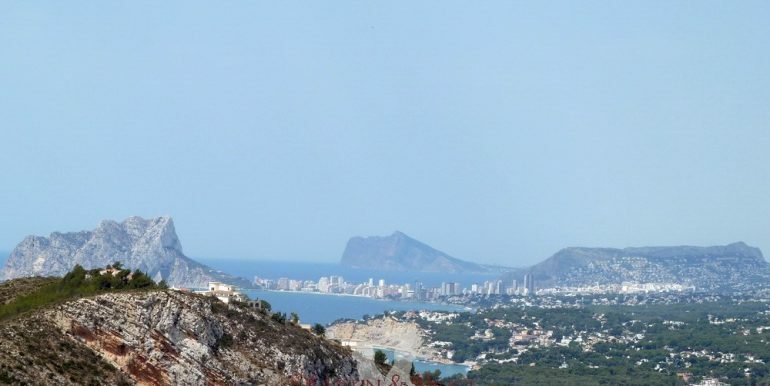 The Granadella Natural Park touches the urbanization and has spectacular routes along the coast. 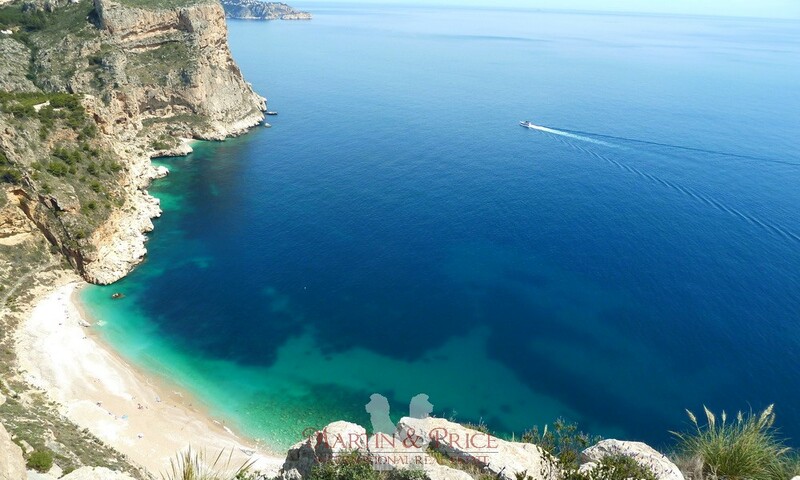 In the surroundings you can enjoy many outdoor activities, with hiking trails, golf clubs, horse riding and beautiful areas for sailing, snorkeling or diving.